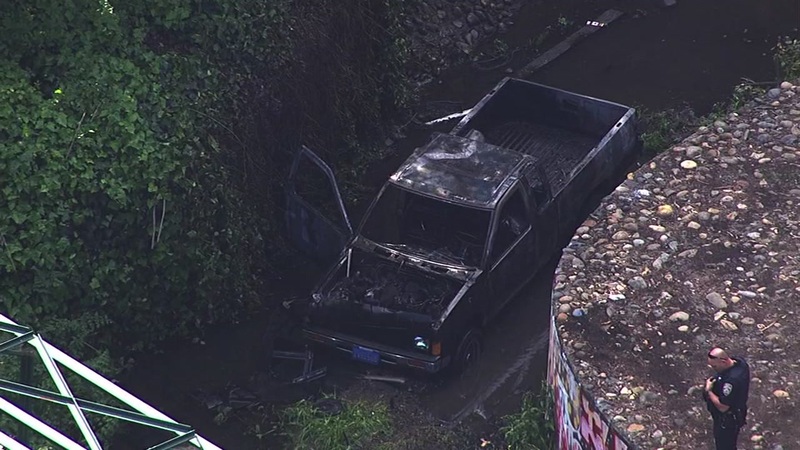 SAN LEANDRO, Calif. -- Police are investigating after a pickup truck went into the San Leandro Creek west of East 14th Street. Crews were able to quickly put out a fire in the truck. Video from Sky7 HD shows how charred it is. Police are investigating whether this is a stolen truck. They're searching for the person who drove it into the creek.